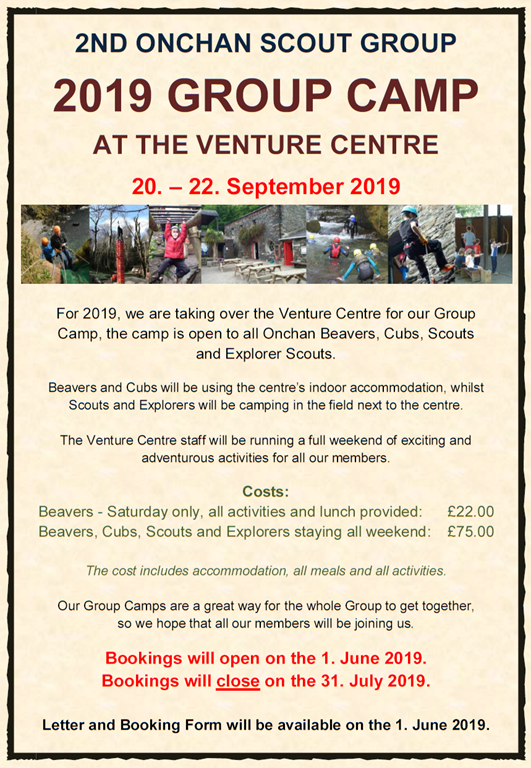 Beavers and Cubs will be using the centre’s indoor accommodation, whilst Scouts and Explorers will be camping in the field next to the centre. 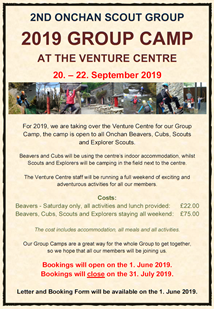 The Venture Centre staff will be running a full weekend of exciting and adventurous activities for all our members. The cost includes accommodation, all meals and all activities. 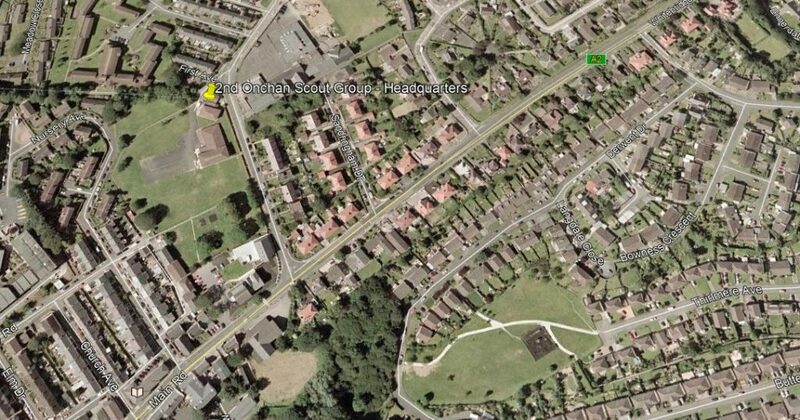 so we hope that all our members will be joining us. Bookings will open on the 1. June 2019. Bookings will close on the 31. July 2019.